Ayurveda is a system of natural healing that originated in India over 5,000 years ago. Ayurveda looks at the body and mind as the interplay of five elements — space, air, water, earth, and fire — which pervade the universe. It helps to integrate the five elements in harmony — this creates equilibrium, or balance, of your physical health, mental clarity and emotional happiness. Disharmony, the bane of modern life, as you very well know, gives rise to disease, illness and chaos. At Ayurvedic Village, you get to interact with professional Ayurvedic doctors, who have in-depth, scientific knowledge of serving patients. We also take pride in our customised Traditional Therapies. We provide Ayurvedic treatments that are thoroughly tested and analysed. It may not be easy, perhaps, to find Ayurvedic treatment that conforms to our excellent standards in the United Arab Emirates (UAE). What's more, we have well trained and experienced therapists — they work under the expert guidance and supervision of our expert doctors. According to Ayurveda, just the mere absence of disease, or illness, is not good enough to indicate good health. True health relates more to wellness of the body as well as mind. 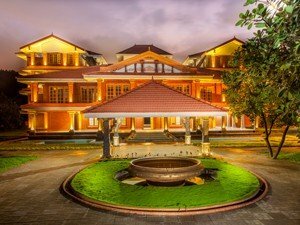 Ayurvedic treatments offered at Ayurvedic Village are strictly based on this principle — the programmes, or plans, also take into consideration every patient's emotional and mental health, while treating their physical or emotional illness. That Ayurveda is the most ancient and most effective form of medical treatment is one aspect. The best part is: it is our foremost Mission is to assist and cure people of physical or emotional maladies with Ayurvedic Treatment & Therapies and towards taking healthy and sustainable living to the next, optimal level. *The Above prices will change according to room preferences and therapy preferences. *Oral medicines are charged extra.